There was a famous party at Benjamin Robert Haydon's studio in December 1818 when Charles Lamb, who was happily tipsey, made wicked fun of a pompous guest, a Comptroller of Stamps, in the presence of such luminaries as Keats, Wordsworth, Landseer, and the great connoisseur Thomas Monkhouse. The occasion is emblematic not just of Lamb's joyous, but not altogether stable temperament, but also of his central position in the cultural goings-on of his time. He and his sister Mary knew everybody and, despite problematic circumstances, extended generous hospitality and friendship across a great swathe of contemporary social and intellectual classes. The record of these interconnecting relationships, especially as preserved in memoirs and published correspondence, is huge and imposes severe strain on intending biographers. E V Lucas - still the best authority on the Lambs - took two volumes in 1905 for his Life of Charles in order fully to examine and display the life that was going on around his subject. Sarah Burton, in this new attempt at a biography, does not move with such easy freedom, and although she has all the diligence of a graduate student, diligently docketing her sources (40 pages of apparatus to 383 of text), her step by step account of events holds little in the way of a warm authorial response. Undoubtedly - in the spirit of the age - she has set out to redress what she perceives as the comparative neglect of Mary in previous studies, but the unity of the Lambs' 'double life' has always been inescapable and only occasionally, chiefly in her careful consideration of Mary's illness, does she depart from well-trodden paths. 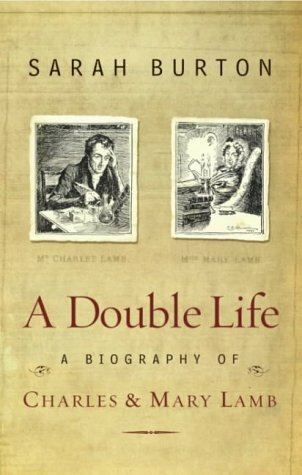 The speed with which she has to pass over many events has been particularly injurious to her treatment of Charles and Mary's writing for children which can be accounted one of the outstanding achievements of their double life. She manifestly has no knowledge of either the bibliography of the books themselves (no Foxon in the references for instance) or of the vibrant contemporary publishing scene, while her remarks on emergent theories about children's reading are a crass reductio. As is usually the case in 'literary studies' children's books are not deemed worth the expense of too much research.